Laurie Tennent, fine art photographer, will have her dramatic botanical work on display in Birmingham, Chicago and Detroit this spring. The Robert Kidd Gallery (107 Townsend Street, Birmingham, MI) will host a solo exhibition of Laurie Tennent’s botanical photographs April 9 through May 6. Pushing the boundaries between photography and painting, revealing in striking detail the architecture of plant life, her large-scale photographs – up to seven-feet wide or tall – expose nature’s innate beauty and delicate sensuality. The opening reception for the artist will be held at the Robert Kidd Gallery from 5-8 p.m. Saturday, April 9, 2016. More than 20 works by Tennent will also be featured at The Chicago Botanic Garden, a 385-acre living plant museum, from April 18-September 25 (1000 Lake Cook Rd, Glencoe, IL 60022). Curated by Exhibitions and Programs Production Manager Gabriel Hutchinson, this is the first stop of a national tour of Tennent’s work, Botanicals: An Intimate Portrait. To prepare for the show, the Detroit-based artist went to Chicago to work with botanists to add unusual specimens to her portfolio. The work will be on display all summer long in the Krehbiel Gallery, located in the Regenstein Center at the Garden. Tennent will also be an exhibitor at the Garden’s annual Antiques, Garden and Design Show (AGDS), taking place Friday, April 15 to Sunday, April 17. Following AGDS, Krehbiel Gallery will exclusively feature her work throughout the summer. From September 23 to 25, the exhibit will only be accessible to American Craft Exposition ticketholders. Tennent created all the portraits in her Birmingham studio and printed them in polychrome on aluminum. A heat press technique that fuses the pigments into the metal helps create the weatherproof panels that can be installed indoors and outdoors. To see Tennent’s work anytime in Detroit, head to the Detroit RiverWalk where she recently created an installation for the Detroit Riverfront Conservancy. The outdoor art, comprised of two works, “Oriental Poppy” and “Desmanthus,” will be on public display for three years. Images featured in the show are available for purchase directly through Tennent at www.laurietennentbotanicals.com. For more information, please call 248-229-8075. 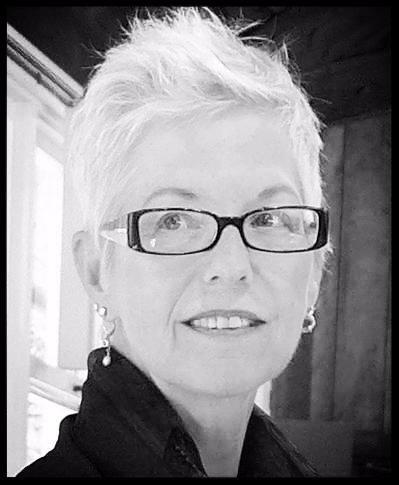 Laurie Tennent, who has exhibited nationally and internationally, received her BFA in Photography from the College of Creative Studies. She is President of the Birmingham Bloomfield Cultural Council and 2013 Cultural Arts Award Recipient for her philanthropic work. The Chicago Botanic Garden is a 385-acre living plant museum situated on nine islands and featuring 26 display gardens and surrounded by four natural habitats: McDonald Woods, Dixon Prairie, Skokie River Corridor, and Lakes and Shores. Located at 1000 Lake Cook Road, Glencoe, Illinois, United States, the garden is open every day of the year. Admission is free, but parking is $25 per car (free for garden members). The Chicago Botanic Garden is owned by the Forest Preserve District of Cook County, and managed by the Chicago Horticultural Society. It opened to the public in 1972, and is home to the Joseph Regenstein Jr. School of the Chicago Botanic Garden, offering a number of classes and certificate programs. The Chicago Botanic Garden is accredited by the American Alliance of Museums and is a member of the American Public Gardens Association (APGA). tone and texture within her works. Our lives begin in an inhale and end in an exhale. All the breaths, all the lines between, weave the tapestry of our individual, complex, mysterious, wondrous lives. Music and dance are essential to Ozer's creative process. Physical movements and beats often dictate her application of paint and other materials. 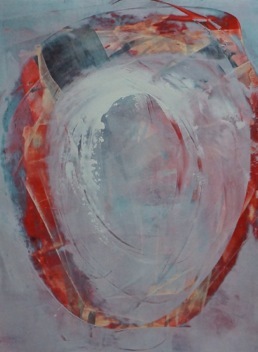 Her practice of mixed media is additive and reductive, reflecting back and forth motions and the revelation of layers. Ozer infuses unconventional materials into her mixed media works. Organic items be- come tools for mark making, such as a loofah, cut into medallions, then pressed into wet paint, or other nontraditional objects used to create texture. 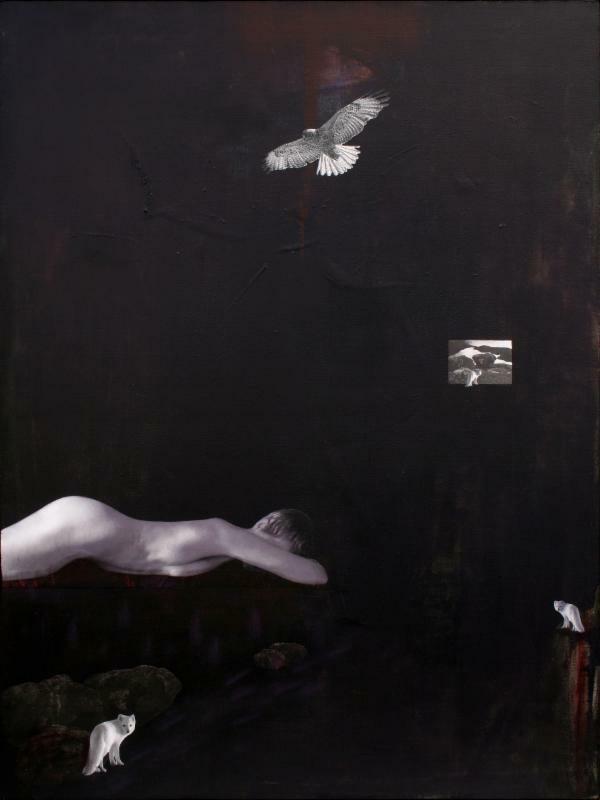 Ozer also employs cold wax mixed with oil paint as a means of layering textures and colors. She rarely applies materials using brushes, instead utilizing bowl scrapers, squeegees, and rollers, enhancing the physicality of her process. Chicago International Film Festival>>CineYouth Film Festival: Deadline Extended to March 25! will hold a pop-up exhibition aimed at disrupting the gallery industry. The “art world” is by nature elitist. The prices are prohibitive, the language is esoteric, and the fairs are less about the art and more about the spectacle. Consider the status quo. The typical venue, an auction house or gallery stand at a fair, is hectic and overpacked. As a result, the need to sell, profit, and repeat is urgent and unavoidable. What should be beautiful has instead become transactional. Learning is an afterthought. Indeed, in the right milieu, art becomes what it can and should be: an experience that’s as enriching as it is educational. Only in this milieu — a quiet space, guided by a patient curator, in the company of the artists themselves — can art transcend its commercial obligations and flourish as art for the sake of art. its unique ethos. After all, a Gilinski exhibit represents more than just paintings on a wall. As will be the case in Miami, it’s a community-building effort. The show is not just a venue for buying and selling. The exhibition is a place where local schools can fieldtrip to, local professors can deliver lectures, and artists whose work is being shown can answer questions and engage with a wider audience. The exhibit features 10 pieces of modern art from up-and-coming artists in Europe and Latin America. Prices range from $100 to $10,000, suitable for both a collector and a neophyte — a rare confluence among today’s markets. Profits will fund an after-school art program in Panama through Libros para niños. 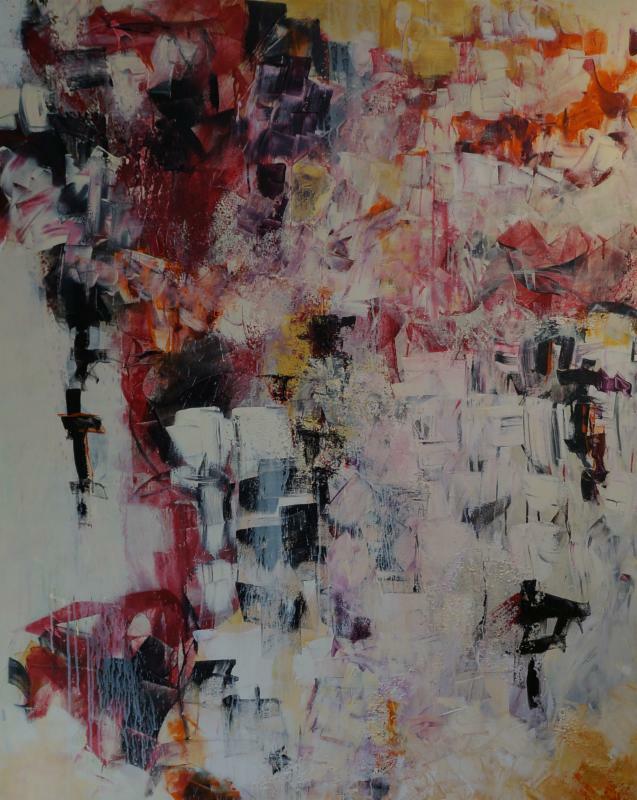 As a private art consultant, Dori Gilinski has held private exhibitions in London, New York, Panama City, and Bogota. This is her first show open to the public. ARROYO SECO– Ann Hougham, owner of Mesa del Sol Vineyards and Retreat offers guests an adventure in wine and eco-tourism. Family-owned for 10 years and recently made available to the public, the winery and vacation retreat offers guests award-wining wines as well as a haven to escape from the stress of the everyday world with its weekly rental program. The property’s historic buildings date back to the late 1800's with a stone building thought to have been a stage stop, water house and a section of one of the cabins. Mesa del Sol was once the location of a healing center prized for its dry, rarified air and curative environment and visited by many celebrities, including President Teddy Roosevelt. Also the home of a state senator. The estate has 7 bedrooms, and 1 tent cabin overlooking the Arroyo Seca River, as well as 4 private bathrooms in the main compound and 2 bathrooms at the pool. The perfect setting for a memorable family reunion; corporate retreat or vacation, Mesa Del Sol has 14 acres with separate living areas allowing each guest a sense of privacy and space. The entire estate has been restored to include a gourmet country kitchen, acres of lush ornamental gardens, 55' pool and large open social areas, with several updated outdoor cooking areas. Guests enter the estate by driving down a half mile driveway lined with oak trees, and rows of fresh lavender. Upon entering the retreat, guests can stroll the gardens, swim in the old grand pool. 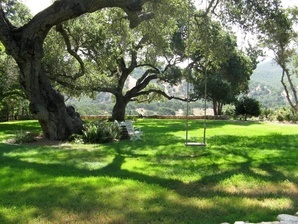 Play basketball, croquet, horseshoes, swing on the swing), feed the chickens and collect eggs for breakfast, feed the trout in the pond, pick fresh fruits and vegetables from the edible gardens, hike the Arroyo Seco backcountry, or just relax on the cliffside overlooking the Arroyo Seco River and the vast wilderness and enjoy the view. Mesal del Sol is also the perfect spot for a memorable country wedding for up to 150 people.
. Mesa del Sol Vineyards is located at the junction of Carmel Valley and Arroyo Seco Roads in South Monterey County.